First, I apologize in not getting this up. I felt wretched yesterday. Barton sat at a table to one side of the huge Clover Compound middle courtyard, a smile pasted on his face and a cold beer in his hand, and watched the play of a couple of dozen Clover children. And pretended not to brood. None of those children were his. And the two who would also have stayed up for the Family celebration with fireworks like all the rest — Savi and Balansa — remained missing. A full two weeks had passed since they’d left and he hadn’t been able to find them. Thorny need still stuck in his heart that the Family must right the mistakes they’d made with the children. Barton must find them. Shrieking echoed in his head as the last of the pre-teens scattered from a clump near him, running to their individual homes. The Clover Compound consisted of row houses built around two full city blocks with courtyards in the middle. Construction around the third block they owned was ongoing. Barton’s own home would be dark and silent. Not even a Fam awaited him. The last of his generation to marry. That realization needled him as much as the loss of his relatives. Clovers usually wed early and got started on their families. But they weren't the man who was responsible for the security of the whole Family. Family with a capital f. The entire, now noble, clan. He scrambled every day to keep on top of his job as Chief of Security. Even though he'd had that job for ten years. And now Barton could also see that Walker would fulfill his potential. His quietly sneaky brother would rise to the very top of Celtan society and become the highest leader of them all. Barton swallowed more beer that sloshed in his gullet nicely. Yeah, Walker would eventually become Captain of AllCouncils, Barton had no doubt. And that meant security for his brother and the rest of the Family was vital. Who could think about taking a wife and making children with that on his shoulders? But as Walker gathered up his HeartMate and their two children, as couples slipped into recently claimed houses, as the older teens reluctantly trudged to their parents’ homes, Barton stayed alone in the dark courtyard and listened to cheerful and mundane sounds drift from the open windows. And wondered, really, if the matchmaker GreatLord Saille T’Willow would be able to find Barton a lover, a wife, a partner. And what he would do with her if Willow did. When her brother had left and she didn’t remember, had that been when her marrow deep loneliness began? Her dissatisfaction with her life? And if it affected her, it would have affected all of her Family! She looked at the picture. Her father’s light brown hair had silvered significantly since that viz. And she hadn’t noticed. Her mother seemed harsher . . . herself more plaintive — and she must work on that! — Glyssa more restless. Though perhaps Glyssa weathered the unknowable tragedy better than the rest of them. She had two very close friends, closer in some ways than Enata herself. Her parents had each other, as HeartMates, but they’d both suffered a loss, not only of a significant portion of the memories or lives, but of their son. How could that possibly happen? 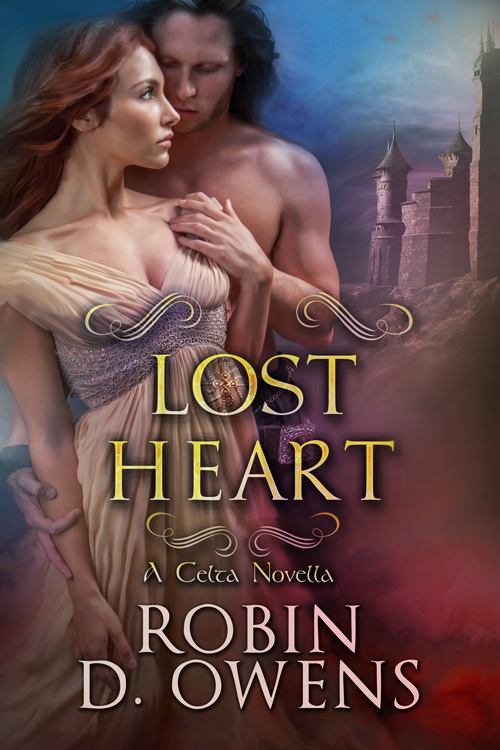 Enata’s head hurt with the thinking of it, her whole body ached with the feeling of the devastating bereavements. She curled over the book, snuffling in the honeysuckle smell and didn’t care when her tears fell onto the papyrus. The lines of print blurred before her eyes and she trembled with sobs for several moments before she used a softleaf in her sleeve pocket to clean herself up. She read her brother’s biography. Twice. Knew that she and he had been closer than she and Glyssa, a pity. Let her own awareness of Reg gush through her. How his hand felt when it held hers, all the way from a child to when he helped her from a glider while wearing formal clothes the last full twinmoons ritual they spent together. And . . . yes! That was the last time she’d seen him. Full twinmoons. Yesterday, last night, the moons were new. It had to mean something. Or did it? She had too few puzzle pieces. Determined, she tried to turn the next page. And couldn’t. If not forward, then backwards, with long experience she riffled the pages . . . but beyond her brother’s biography they stuck firmly together. Slipping a thumbnail — a golden with silver sparkles thumbnail — under the edge of the former page, she pried, to no avail. The book flew up, away, snapped shut and slid onto its shelf. Glyssa stared. A distant chiming came to her ears that she couldn’t place for a moment. The belltower near CityCenter. Which she shouldn’t be able to hear. Had never heard here. Stranger and stranger and now so weird she began to shiver, her body reacting to nerves once again. A headache slammed into her and terrible darkness began to devour her vision. Fumbling, she reached into her sleeve and came up with a thick nibbed writestick, scrawled drunken lettered words on her arm. Take recordsphere to Secure Vault Prime. 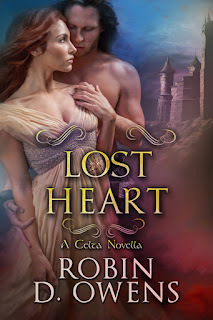 Celta Thursday, Lost Heart Cut, Enata in Vault continued: She flipped the large pages, less than ten, so quickly an edge caught her finger and sliced open a deep and painful paper cut. Like all librarians, she stopped immediately and checked the papyrus of the book for blood, nothing. Whew. A simple Word closed her cut,though the ache seemed to stick to the other hurts accumulating in her muscles and along her nerves. She turned to the end of the biography and saw: REGLIS LANDU LICORICE, REASON FOR RECRUITMENT: Excellent skills in the following areas: librarian, archival, document reservation, non-fiction writing and fictional story telling. Acquired Full Twinmoons of the month of Holly, as the colonists count time. Far, far down at the bottom of the page, in a tiny footnote, it said: Current status: subject exceeding expectations. He lived! Or had when the book — this wonderful, awful magical book was printed. There were some volumes that when a person wrote in it, updated all of them. Magic, psi power, Flair. She could only hope this very important volume was one of them. Her breath whooshed from her. Reglis lived. Did he have a HeartMate? Celta Thursday, cont. from Last Week: Cut scene with Enata in the Library: Always quiet, a deeper silence seemed to flow from the corners of the huge foundation room. That didn’t scare her. She felt as home here as the D’Licorice Residence, everyone in her Family did. This building and their careers, their Family, had been founded before the house. The earliest librarians had slept here. . . and, at times, all of the librarians, Licorice or not, had found a corner chair or twoseat or sofa and crashed. Nothing to fear. But the nerves under her skin yet twitched. She walked to the vault, opened it, and the correct amount of light for the records within brightened for her human eyes. The scent of honeysuckle blossoms wreathed around her and she saw a thin hint of colored air, not smoke, drifting to her in curls. Within that stream sparkled flecks of silver and gold. She glanced down at her fingernails. Yes, like those. She stepped inside, blinked, and the shape of the objects on one shelf of the far wall changed. Her eyes widened and recollection flitted around her mind as she stared at the large midnight blue volume now revealed. Catching her breath, she swallowed, then she turned in place and waved the door shut with a solid and quiet thunk. No one would know she was here. A little recollection began sifting back. The materials of this book were rare, thick papyrus, leather binding from an animal she didn’t recognize . . . and the scent of honeysuckle that she thought came from the glue. Impossible. But the fragrance would always attract her. Her grandfather, MotherSire, had been from the Honeysuckle Family and there were plenty of those shrubs planted in both the library grounds and around their home. When she grazed her fingertips along the spine of the book, again feeling the sparks along her skin and sinking into her, memories collided inside her brain and she remembered. Her brother! She’d had a brother! No, had a brother. One not here, one not remembered by anyone. Yanking at the book, she fell backwards, danced a couple of steps with weak knees, then sank cross legged to the ground. The book opened and floated before her on an inbuilt anti-gravity spell. Once more it flipped to the opening page of the article on her brother, Reglis Landu Licorice, CHOSEN. Aquired early summer of 421 years after colonization, the print read. Aquired! Enata shuddered. A few months ago. Looking at the color viz showing her Family and Reglis, she recalled when they’d stood for that portrait, last spring. Lady and Lord. Her big brother Reglis had been in Druida City last spring. He'd lived in everyone's memories just last spring. Breathing rapidly, actually trying not to hyperventilate, another thought occurred to Enata. She’d been born the middle child, and . . . and now, outside this space, she’d thought she’d been born first. Her role in the Family had changed. What conflict did that cause in her mind and her character? Surely being thought a first born child must have affected how people treated her? Not only that, but a whispery inner voice in the back of her mind wondered if her older brother had a HeartMate — wait, did he still live?